How Did So Many Moths Get Into My Rug? Why Are There So Many Moths in My Home? Every four to six months, 30 to 200 eggs can be laid by a single moth! Each new moth is then able to lay 30 to 200 more eggs. These eggs are very tiny and, in some cases, can even blend into their surroundings. 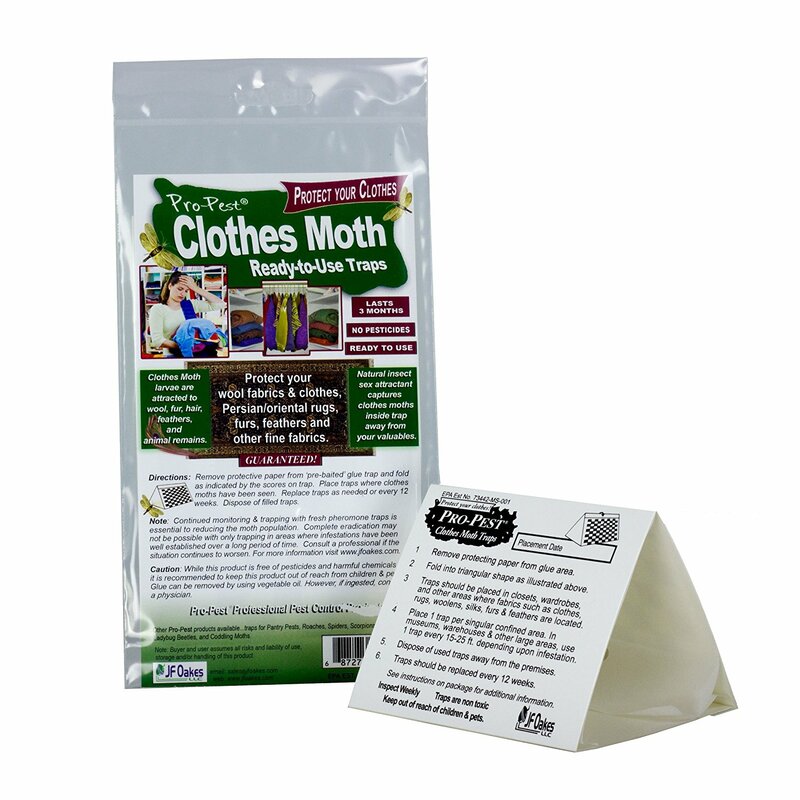 It only takes four to ten days for moths to hatch and start consuming wool, fabric, and clothing. These larvae consume little by little, but they can easily spread throughout the house, multiplying year round due to climate controlled homes. Although they are hard to see, moth larvae can go from consuming little areas to big patches after hatching. Moth larvae living in a rug. Their paradise is your nightmare! How Do I Get Rid of These Moths? 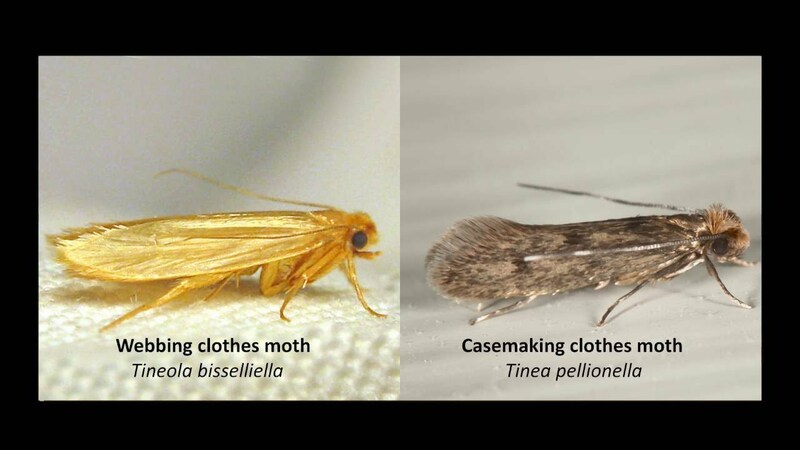 Now that you know how the moths got in your rug, you’re probably wondering how you can get them out. Let our rug specialists remove moths from your rugs using our washing facility- right here in North Dallas. Each rug gets a full hand washing with clear water, organic shampoo, and organic conditioner. Our wash is made specifically for the natural fibers in fine Persian rugs. We wash each rug one by one on a flat surface, scrubbing front and back with active live bacteria enzyme. This kills and remove contaminants, like moths! Don’t wait for moths to come around before you take your rug in for a wash, though. Rugs should be washed at least every three to five years. Not only will your rug be beautiful, but you’ll be preventing moths just by keeping your rug clean. While your rugs are gone, we suggest fully disturbing every area in your home by wiping down surfaces, under couches, tables, chairs, and circulating air in any secluded rarely walked in rooms. This will help stop the cycles and encourage the moths to find a new home. Did I Just See a Moth on MY Persian Rug? Dust and dirt are important to remove off of your rugs for a few reasons. Obviously, you want to live in a clean home, and part of a clean home is a clean rug. There are some less obvious reasons, though. Did you know that dust and dirt have tiny, sharp edges that work against the pile of your rug? What exactly does that mean? It means that the fibers of your rug are being stressed and they’ll wear out faster than normal. Another huge reason to keep your rugs clean? Moths. The dirtier your rug is, the more appetizing it is for a moth. The photos below might just look like dusty or dirty rugs, but look a little closer. That’s a huge patch of moth damage- not dirt! Moth activity on a Persian rug. Dusty rug? Think again! Those are moths. Does this sound familiar? Do these photos look familiar? Don’t freak out! It’s not the end of the world. My Rug Looks Like That! Help! There are sanitation and restoration options for you. That’s right- your rug can be cleaned and repaired. Take a deep breath and read on. First and foremost, you’ll want to take your rugs out of your home. They need to be washed by a professional. 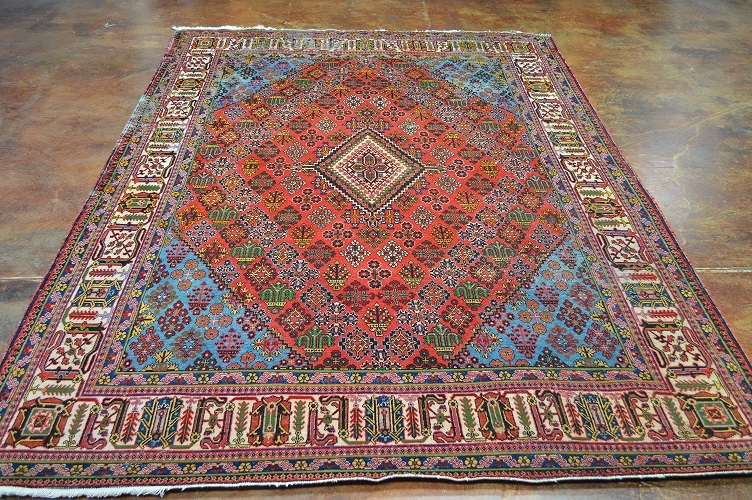 Behnam Rugs offers free pick up and delivery within the DFW area. Give us a call and we’ll pick your rug up for cleaning for you. What’s going to happen to your rugs? They’re going to be washed and sanitized. Not only will your rug look clean, but it’ll be clean too. No more moths in your favorite rug’s fibers! While your rugs are being cleaned, we ask that you clean the rest of your home, too. 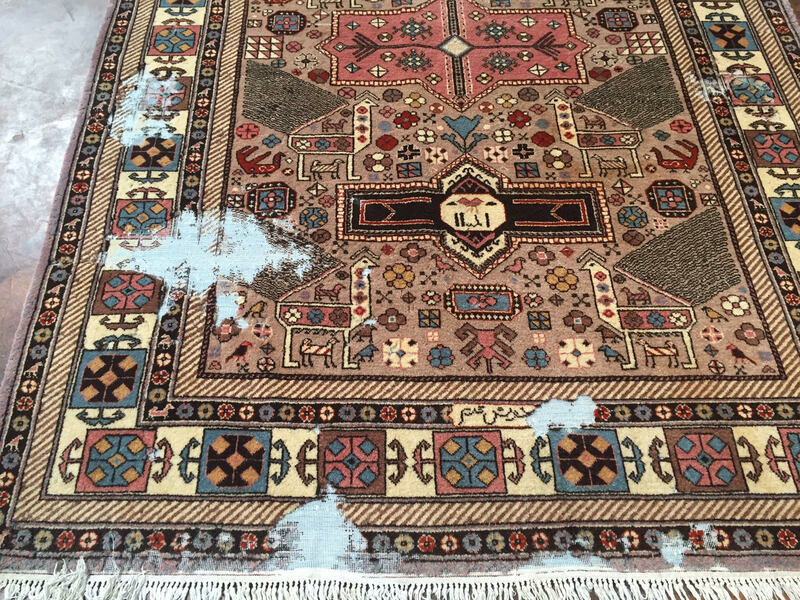 It would be horrible to have your rug cleaned and repaired just to have it be re-infested. Will My Rug Ever Be the Same? 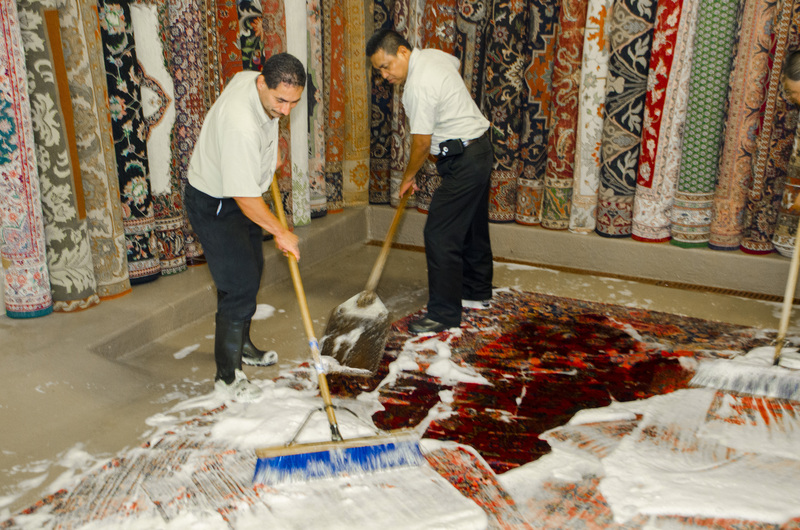 You’re probably wondering something big- “Will my rug ever be the same again?” At Behnam Rugs, we’ll do our best to make sure every rug goes back to its owner looking as good as new. We know you love your rug. We love your rug, too! That’s why we only use methods we’d trust with our own rugs. Your rug will be cleaned the traditional, natural way. The last thing a moth infested rug needs is to be made weaker by harsh chemical washes. We will use our organic wash to bring your rug back to its original beauty. Take a look! This is the same rug that you saw earlier in this post. That’s the magic of Behnam Rugs! 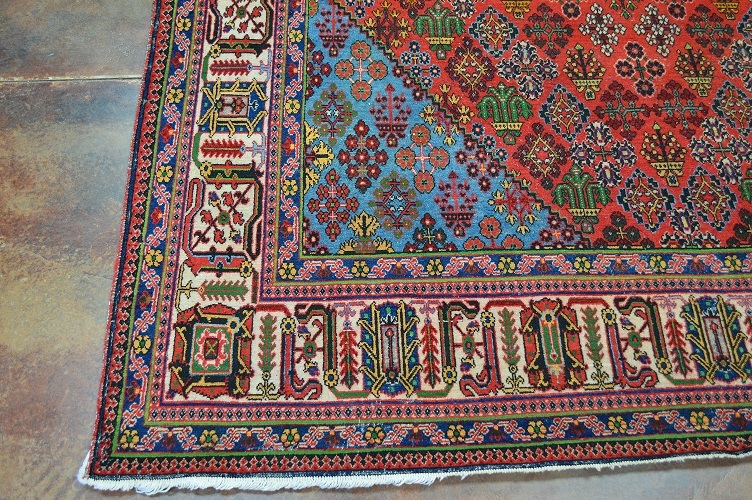 A moth damage rug after being washed and restored. Can you believe this rug used to have huge sections of moth damage?